VANCOUVER, British Columbia, Canada, January 8, 2014 (ENS) – Five environmental groups are taking the Government of Canada to court today claiming that it has failed to meet its legal responsibilities under the Species at Risk Act to protect endangered wildlife threatened by the proposed Enbridge Northern Gateway pipeline and oil tanker route. At a federal court hearing in Vancouver today and Thursday, the groups are challenging the federal government’s years of delay in producing recovery strategies for four species – the Pacific humpback whale, Nechako white sturgeon, marbled murrelet and southern mountain caribou. The habitat for all four species would be impacted by the construction and operation of the Northern Gateway pipeline, but their recovery strategies were released too late to be considered by the federal government panel reviewing Enbridge’s Northern Gateway proposal. “The federal government’s chronic delays in producing recovery strategies for Canada’s endangered wildlife are forcing species already struggling to survive to wait even longer for the protection they desperately need,” said Devon Page, executive director of the nonprofit law firm Ecojustice, which is represting the environmental groups in this case. “Worse, not having these recovery strategies in place makes it impossible for regulators to consider the full environmental impact of major projects like the Northern Gateway pipeline,” said Page. Enbridge’s 1,177-km Northern Gateway pipeline would carry diluted bitumen from the tar sands of northern Alberta to the coast of British Columbia where supertankers would transport it to Asia for refining. A long-standing moratorium on new tanker traffic has kept Canada’s west coast safe from spills like the Exxon Valdez disaster in Alaska. But approval of the Northern Gateway pipeline would pave the way for hundreds of new tankers to carry bitumen through the narrow passages of British Columbia’s north coast. The final recovery strategies for the humpbacks, white sturgeon, murrelet and caribou were at least three years overdue when the lawsuit was first filed in September 2012. In the weeks leading up to today’s hearing the federal government has released proposed recovery strategies for both the white sturgeon and murrelet. 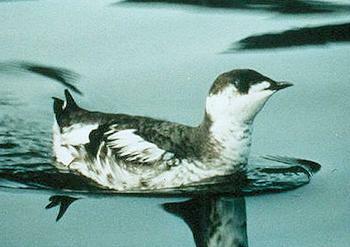 The murrelet strategy was released less than 24 hours before the hearing opened today. 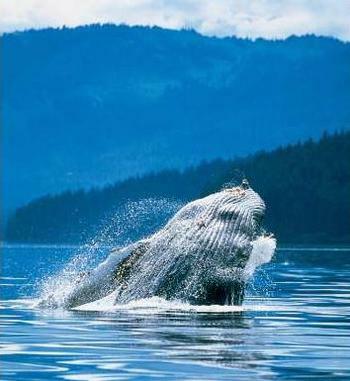 The federal government released its final recovery strategy for the Pacific humpback whale in October 2013, more than four and a half years past its due date and too late for consideration by the National Energy Board’s Joint Review Panel, JRP, which recommended in December that the Harper Government’s Cabinet approve the Northern Gateway pipeline. That recovery strategy identifies toxic spills and vessel traffic as two threats to the humpbacks’ survival and recovery and also shows how the whales’ critical habitat overlaps the proposed tanker route for the Northern Gateway pipeline. The pipeline would cross hundreds of fish-bearing streams, rivers and lakes and disturb previously untouched tracts of wilderness and endangered animal habitat. It would cut through the traditional territories of 40 First Nations and Aboriginal groups, many of whom stand in opposition to the pipeline. Page argues that by delaying the recovery strategies for these four species, and thus delaying identification of the critical habitat it must then protect, the federal government is making it easier for projects like Northern Gateway pipeline to speed through regulatory review without a full understanding of their long-term impacts on wildlife. “The federal government is now required to legally protect humpback whale critical habitat by April of this year, which makes any proposal to route tankers through their north coast habitat unviable,” said Vernon. Prime Minister Stephen Harper says his government’s drive to diversify Canada’s energy markets does not make Cabinet approval of the Northern Gateway pipeline a done deal. On Monday, during a moderated discussion on Canada’s economic future between the Conservative Prime Minister and Iain Black, president and CEO of The Vancouver Board of Trade, Harper said that his cabinet will balance economic and environmental interests as it makes a final decision on whether to approve the $6-billion project to link the Alberta tar sands with a new port to be built at Kitimat, British Columbia if the project is approved. More than 160 other at-risk species, including the southern mountain caribou, another species that will be impacted by the Northern Gateway pipeline, still await the release of their recovery strategies. Ecojustice lawyers are acting on behalf of five environmental groups in this lawsuit: the David Suzuki Foundation, Greenpeace Canada, Sierra Club BC, the Wilderness Committee and Wildsight.